“Let us not give up meeting together, as some are in the habit of doing, but let us encourage one another…” (Hebrews 10:25). 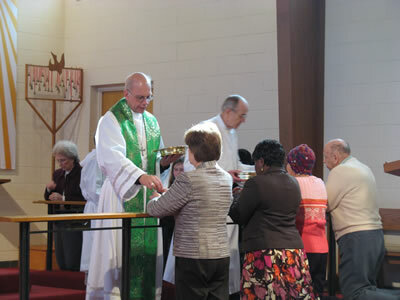 Worship is first and foremost at Holy Cross Church. It is in worship that we come face to face with our Heavenly Father as He shares with us His peace and forgiveness. Holy Cross Church is a traditional worshipping congregation. We use Lutheran Service Book.